There has been quite a bit of interest in aftermarket adjustable levers for the CBR1000F and nobody lists them for this specific bike. Therefore, this thread is intended as a cross reference to show other bike levers that will fit the 1000F. Keep in mind, though, that VTR1000 (euro) levers will not work on our bikes. In the USA, the VTR1000 is also known as the RC51/RVT1000. 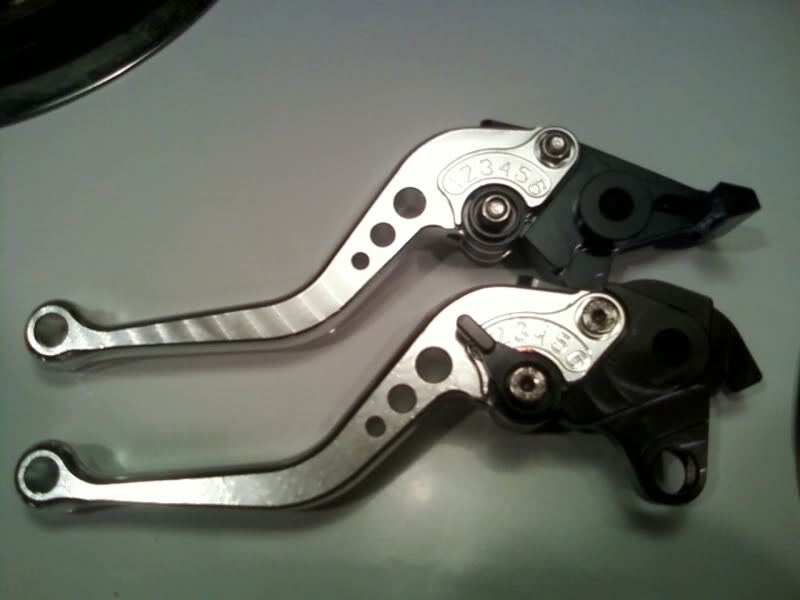 The levers for the VTR1000F are what you want. I also want to mention that Blackbird levers will not work, either.... nor will sets for the VFR800 1998-2001. They have different brake lever setups. I have not tried all these different levers on my bike, nor have I tested them on the 87/88 model. I have to assume that since all CBR1000F levers are supposedly interchangeable and all the above lever sets cross reference to one another that they should all work. (http://cgi.ebay.com/ebaymotors/Brake...item41530eaa20) to the ones I got. I will be updating the pictures later in the week when I buy a new camera. These levers were $48 shipped on ebay. Many other online retailers sell these exact same levers for like $80. *Use these levers at your own risk, btw. I see no reason why they wouldn't hold up, but when buying any aftermarket part you assume a certain risk that it won't function as well as OEM. I have a pair that I bought from Hong Kong on ebay and they are excellent quality! Machined well. Mine was $50 shipped. Yep, the ones I got are much better quality than I expected. Solid and appear to be machined well, also. But seriously, thanks Pete.... and HERE is the link to the ones I got. There are other pretty colors somewhere. And I hope everyone provides some feedback. Maybe you found them cheaper? Maybe you have some pics or other advice? This is just a start. Ummmmmmmmmmm I did all that already. They are the VTR 1000F - 98-05 and it took about two minutes to swap them over. I got mine in all black. Indy .... Have you got link to the ones you got? ... Mines a 87/88 and I would like some too!